This post is written in partnership with World Market. Opinions are always my own. I’m not sure how it happened but Easter is just around the corner. 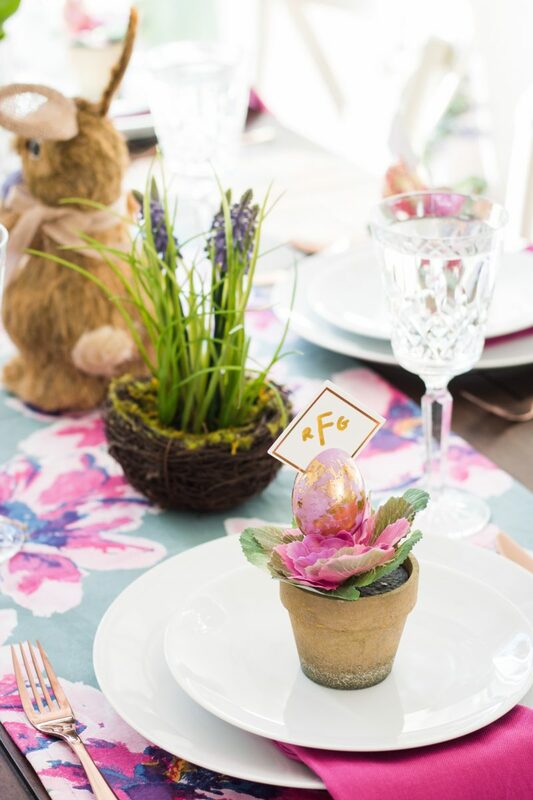 We are hosting this year and I am excited to be ahead of the game with our table setting. When I saw the spring line at World Market, I went bananas. 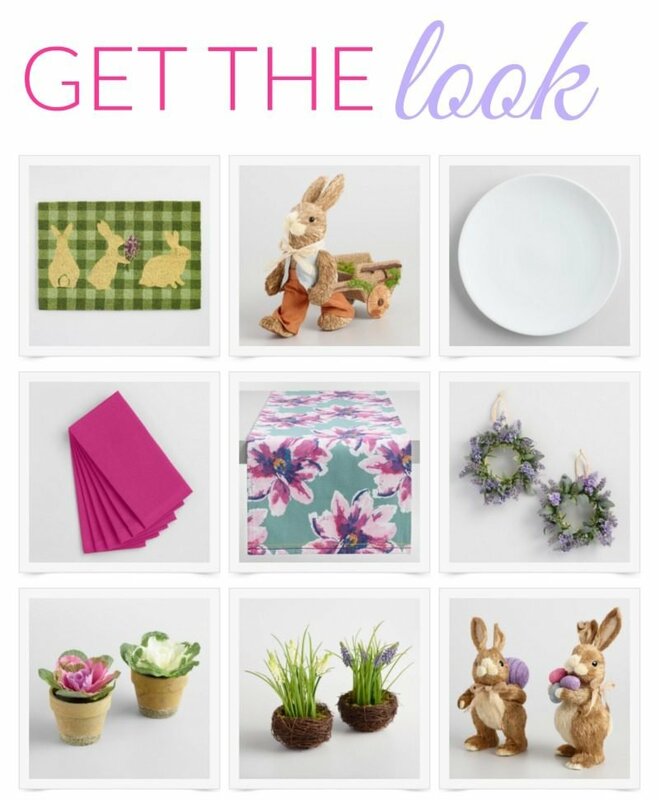 They have darling Easter decor and entertaining pieces. 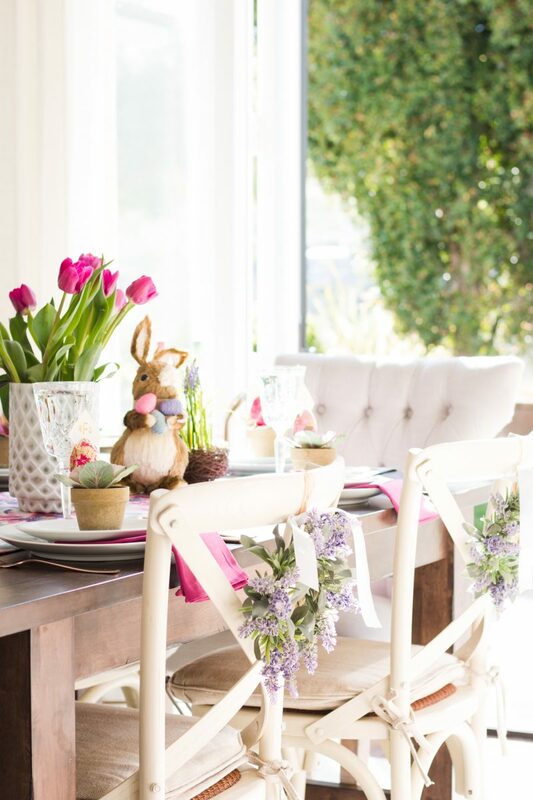 I spotted a really pretty floral table runner and I let it set the stage for the rest of our colorful Easter table. I will apologize up front for the amount of photos. It was just so fun to capture. 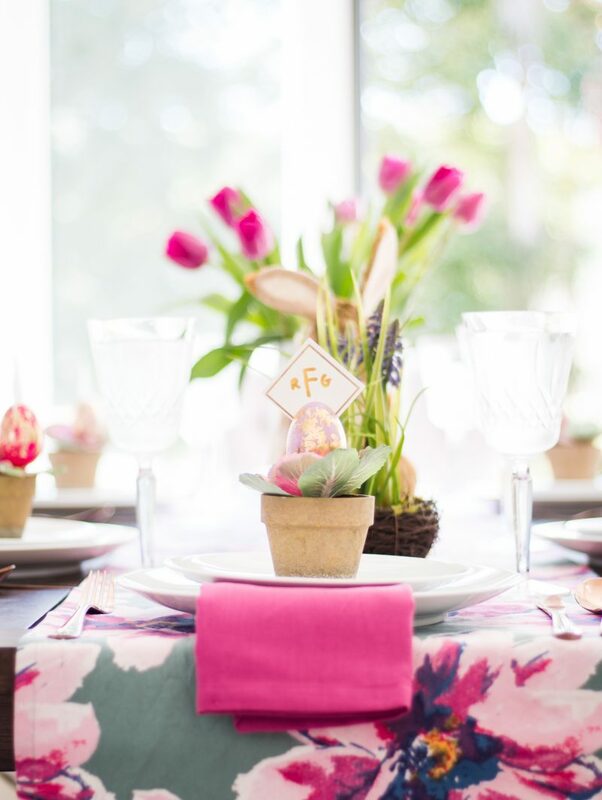 I didn’t shy away from color and really wanted to blend indoor with outdoor for this tablescape. The only thing I will need Easter morning are fresh tulips. After falling for this pretty runner, I pulled out the hot pink and lavender. The colors are so pretty together. 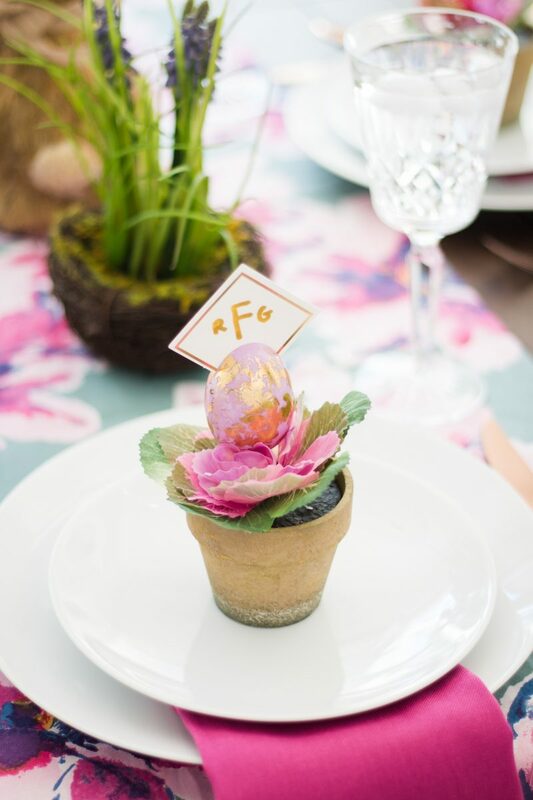 Each guest has a little kale pot with their monogrammed Easter egg. 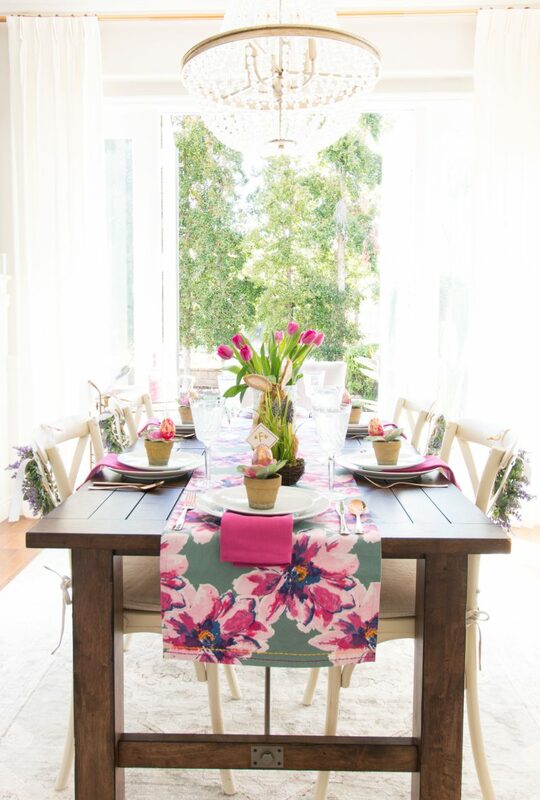 The hot pink napkins are nesting in between the dishes and add a fun jolt of color to each spot. As soon as I saw these pots I knew I had to incorporate them. Without the egg, they will be great for any spring time gathering. 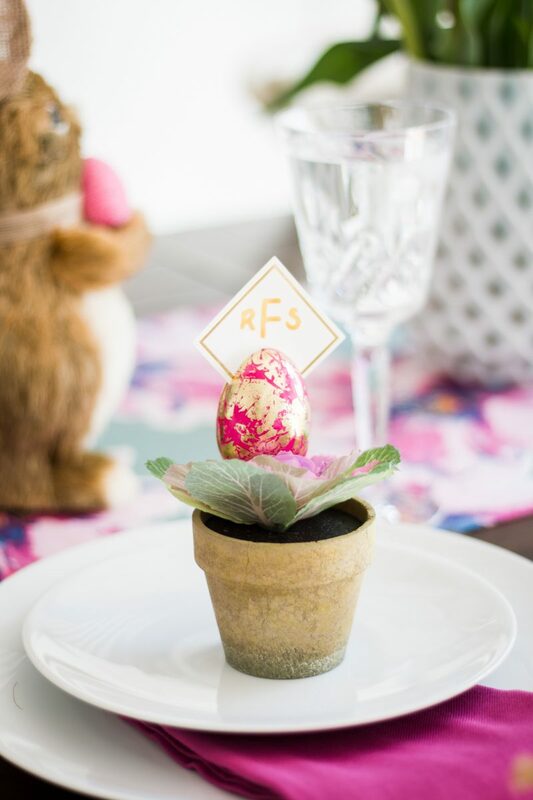 They also look super cute sprinkled throughout a buffet table. We have been rocking the same white dishes since I graduated from college! My mom bought me a set of 8 dishes when I moved into my first apartment. We still have them. And yes, with only 8 we pieced together tables when we entertained our family of 11 for the last 20 years. So I took the plunge and bought a new set of white dishes. You would have thought it was Christmas morning around here. To be honest, even my husband was happy. 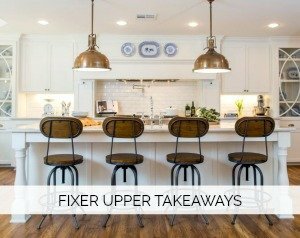 Our chipped dishes hold a lot of memories but we were long over due for an upgrade. Being able to hang things from these chairs has always been fun. 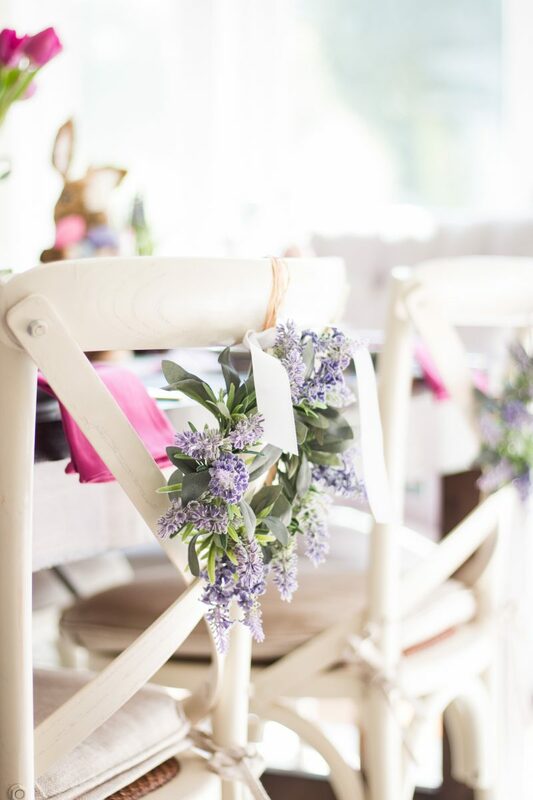 These lavender wreaths are perfect for this and add a really nice, soft touch. Meet the cutest bunny ever. My kids LOVE these! I bought two and they are so stinkin’ cute. I feel like he has such a personality. As if he is so proud to be holding those three eggs. There is one on each side of the tulips and they are welcome to stay around here as long as they like! I picked up these eggs from Target and just set them on top of each kale plant. I really fell for all of the Easter decor this year. It’s just so darling. And that doormat! So sweet. 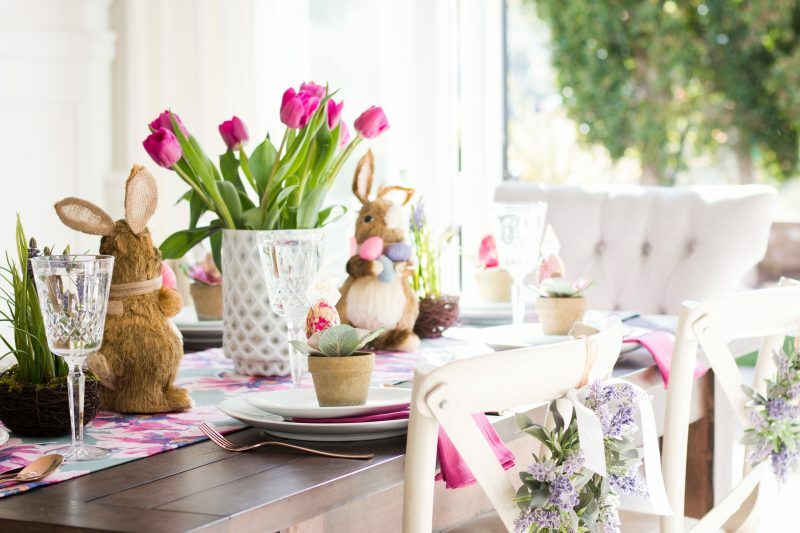 My children love having Easter decor around the house. They always have so it’s fun to get them involved with decorating. They are really excited about their first Easter egg hunt in this home. The table is really rather simple. 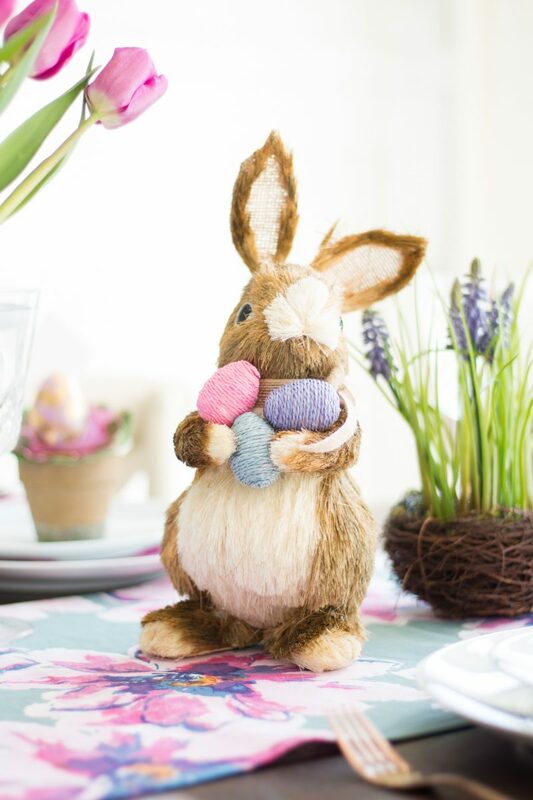 I used one bunch of tulips, two bunnies and two nests for the length of the table. It’s nice to keep the fresh elements to a minimum if you are planning ahead. Recently I have been pulling this bar cart into the dining room when we entertain. It’s nice spot to place extra drinks or dessert treats. 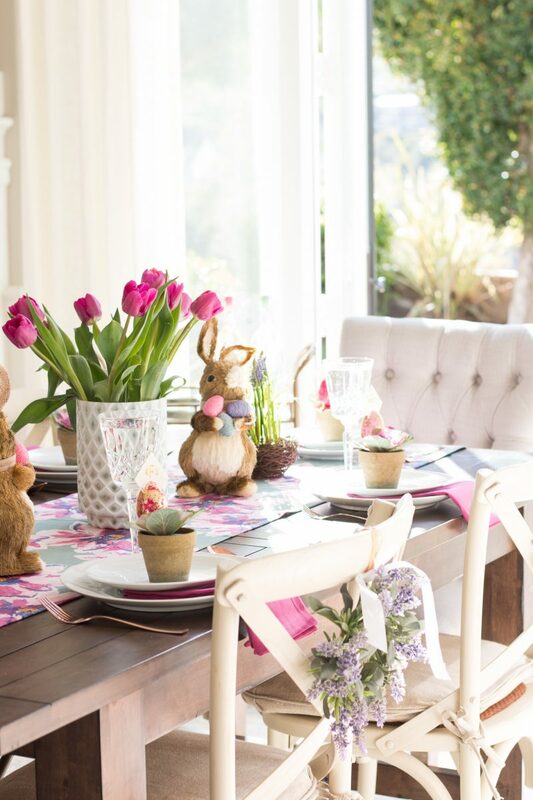 You can see another Spring table I styled here. The bar carts we used in our guest bedroom are on sale, too. With the doors open, it feels more like a garden party which is what I was hoping for. 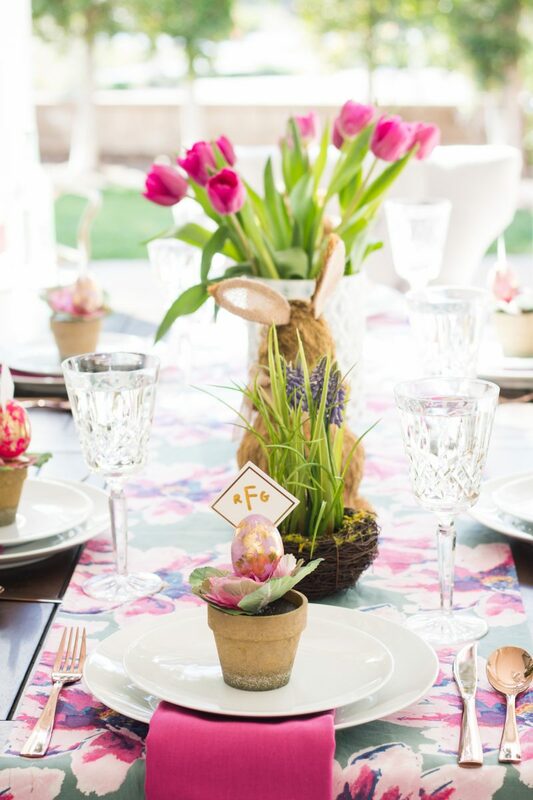 We always entertain early afternoon on Easter Sunday which means we can count on it being an indoor/outdoor event. Our table, along with all dining furniture, is on sale right now. I have had this flatware for quite some time, but I noticed this gold set. So pretty in real life. 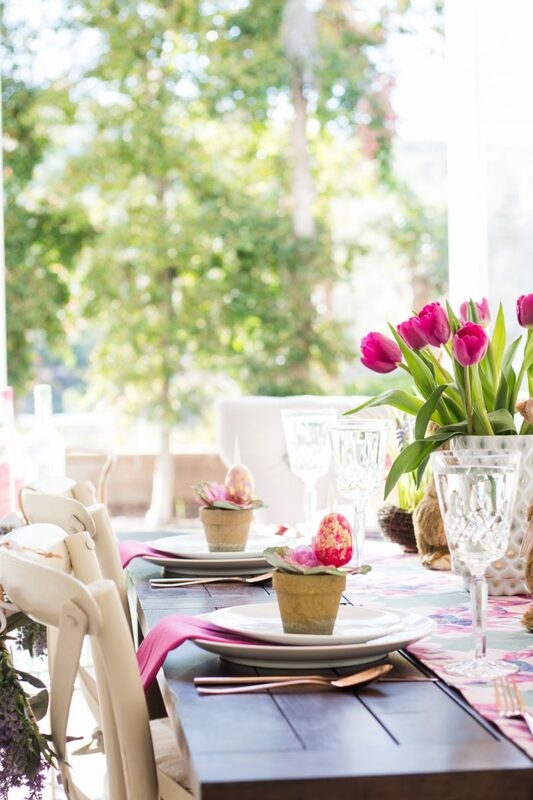 I hope this inspires you to start thinking about entertaining this Spring. Something as simple as a beautiful runner and fresh flowers mixed with things you already own can be a fantastic jumping off point. 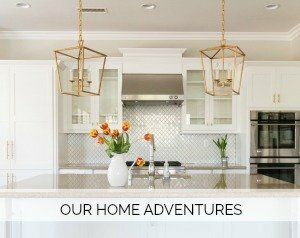 If you are up for checking out more entertaining ideas I have created in the past, I linked my favorites below. You always do the most beautiful tables!! 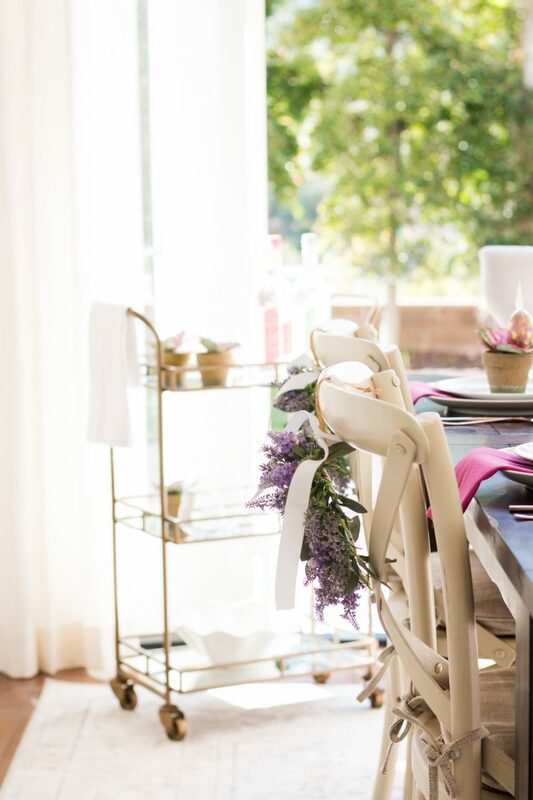 I absolutely love that table runner, and I so wish there was a World Market close to me…(alas, I live in Joplin, MO) Thanks for giving great, doable ideas! I also just wanted to say your blog was the first one I ever read. I don’t remember what I was googling that day, but I stumbled upon your blog and I have been following ever since (I think it was 2013). You also led me to other favorite blogs as well, but yours is my still my favorite! So Pretty!! 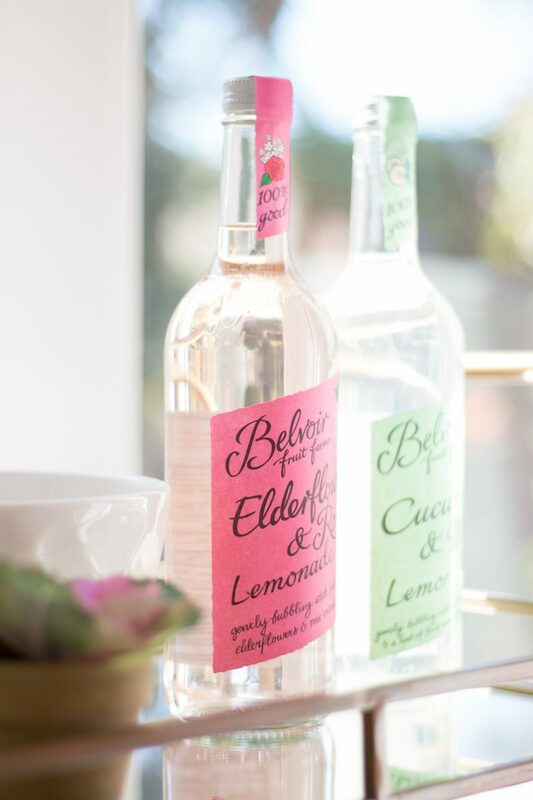 Love the pops of pink. I love the vase the tulips are in! If you don’t mind me asking, where is it from? Thanks! So pretty Courtney! Love the purples and pinks! Just so beautiful, C!!! You have such a great eye for mixing patterns and colour! Gorgeous as always ! Inspired me to get my spring on!!! Oh my goodness, Courtney! I love this so much. That runner is beautiful, and I love how you pulled out the pinks and purples. Want to come do my house? I’m sharing this tomorrow as part of my 5 on Friday–thank you for always providing such beautiful inspiration. So gorgeous!! I love it all. As usual, the inspiration here is incredible! Thanks so much for sharing with us. Also — what a great way to use those eggs from Target. I have seen them in the Dollar Spot recently and love them. Awesome idea.